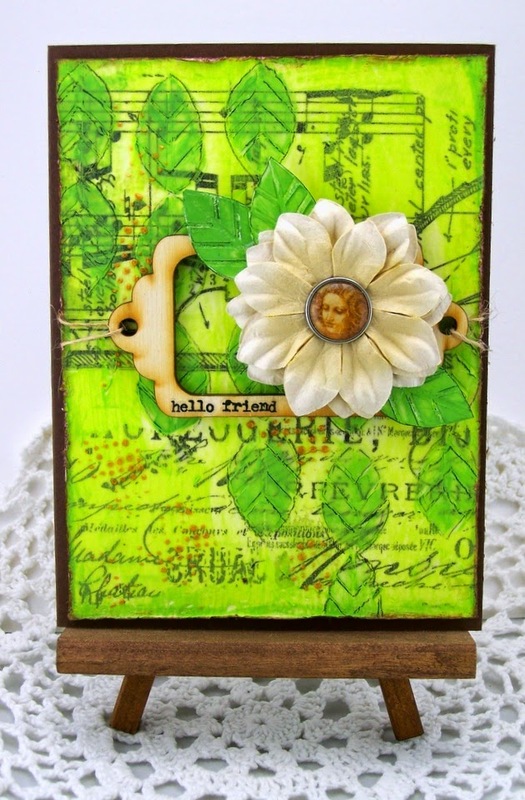 Hi, it's Sue Lelli here today to show you a card I made using my FAV Wendy Vecchi Studio 490 embossing pastes! This is my first card. The base is TH Distress Watercolor Cardstock. LOVE this product! It's heavyweight paper card sized and great for any product you put on it, holding up incredibly well to all the paints and waters and gel medium and embossing pastes I used. Did I say LOVE?!!! Here is a close up so you can see the leaves stenciled with Wendy Vecchi's Translucent embossing paste and painted with Dina Wakely's heavy body paint and TH Distress paint. 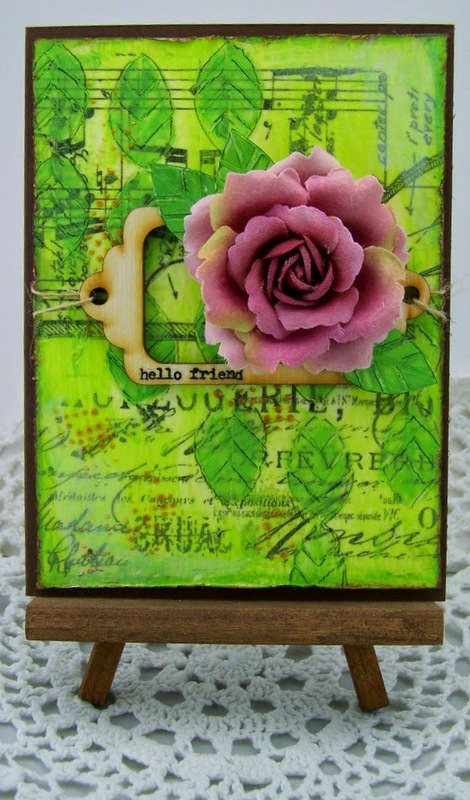 The flower is from Prima's Seashore Collection. 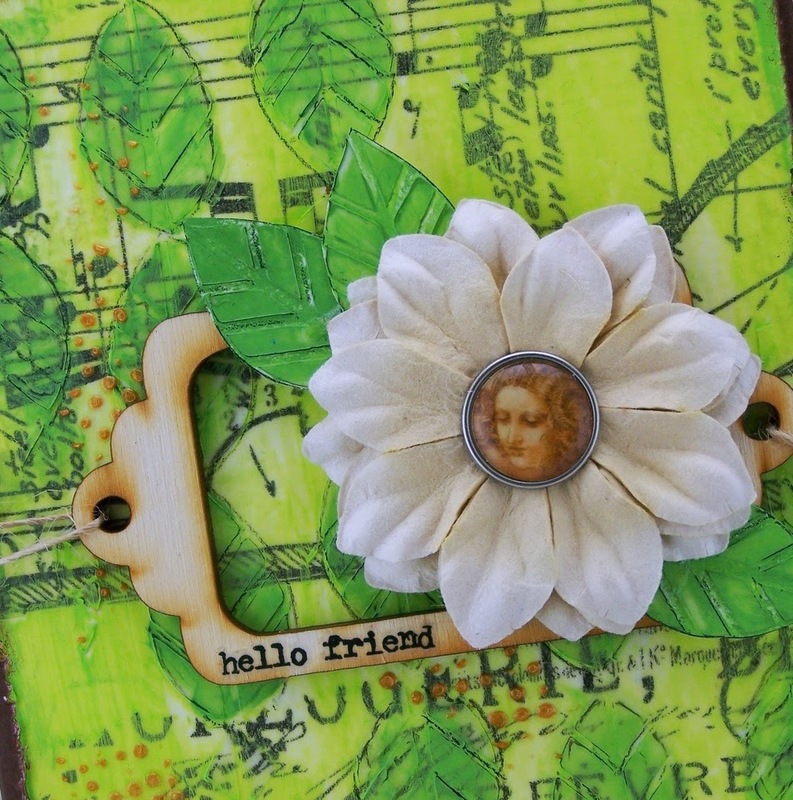 I ripped the top layers of the flower off and added that Beautiful face from Prima's Cartographer Collection. 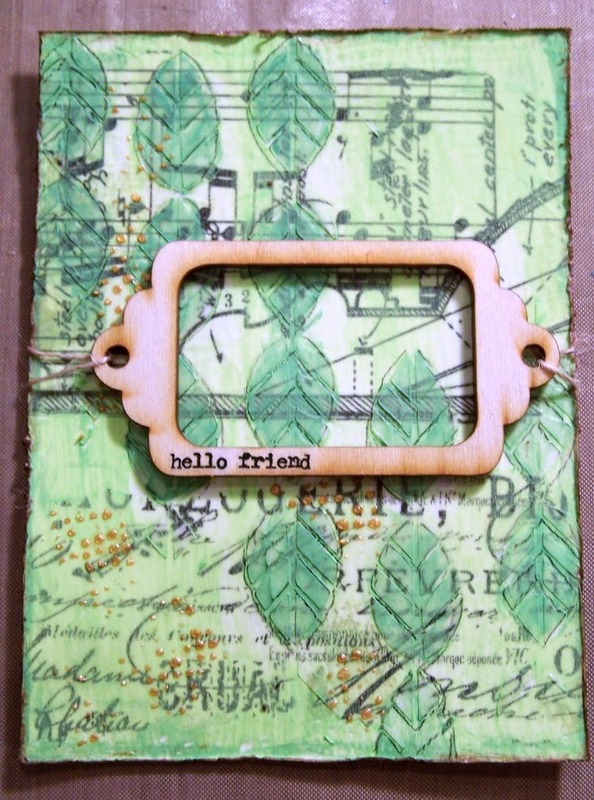 I thought she looked pretty with the ADORNit wood frame and the hello friend sentiment which is a Tim Holtz Remnant Rub. It fit perfectly on the frame. Then I HAD to do it! When I first started thinking about this card, I had green and pink in mind but the creative process took me elsewhere. So I took the cream flower off and added this Beautiful Prima flower with some green highlights! I not sure which one I like the best! Do YOU have a FAV? In this close up you can see the gold speckles I added with the Prima Floral Rose stencil and Metallic Gold Wendy Vecchi Studio 490 Embossing Paste. I could use these two on everything I make! 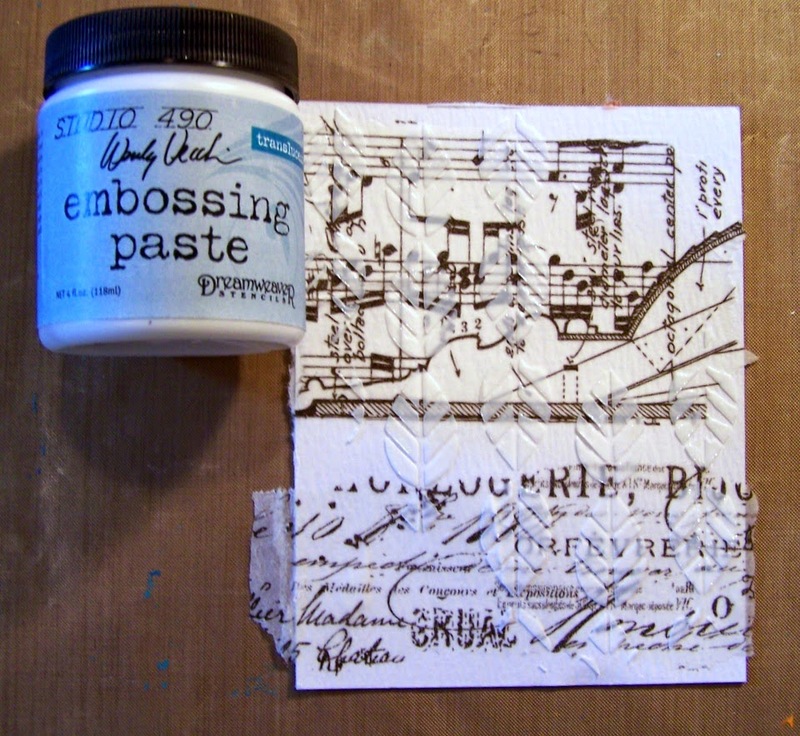 Tim Holtz Distress Watercolor Cardstock with Tim Holtz Melange tissue wrap ~ another FAV! I used Dina Wakely's Gel Medium to attach the tissue. 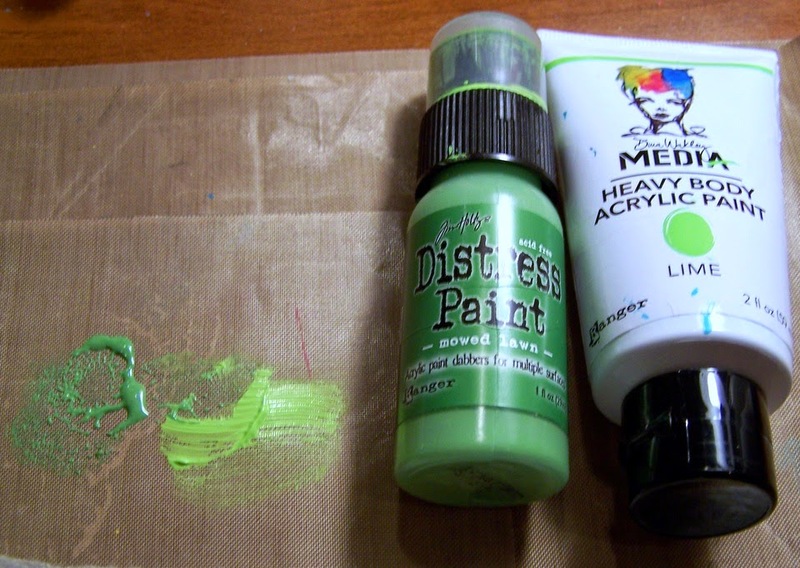 The two paints I used ~ TH Distress Paint in mowed lawn and Dina Wakely's Heavy Body Acryllic paint in Lime. 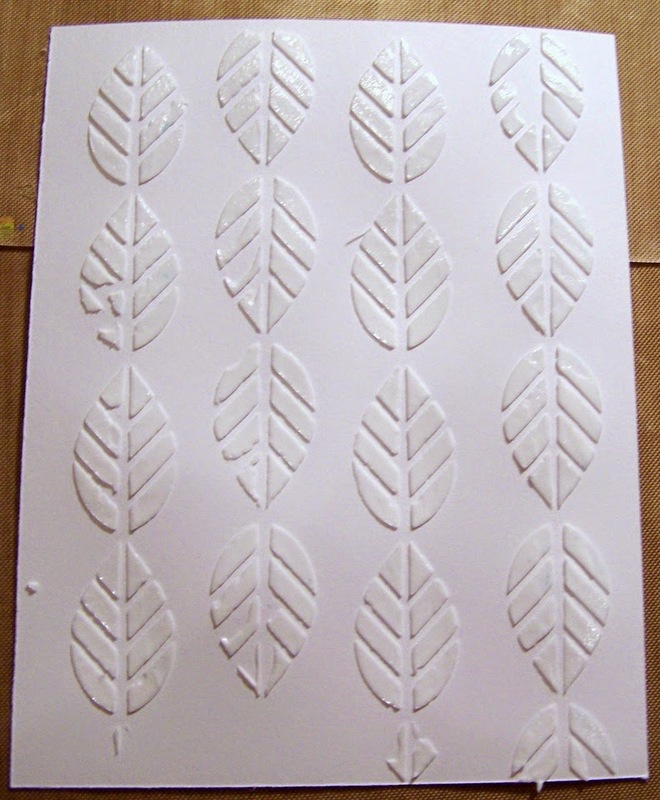 On a piece of white paper, I made more leaves with the WV translucent embossing paste which I then painted and cut out to add to the flowers. I outlined the leaves with a black stabilo pencil to create some definition. The frame is from ADORNit wood shapes and the sentiment is a Tim Holtz remnant rub. You can really see the WV metallic gold embossing paste in this photo. That's it! 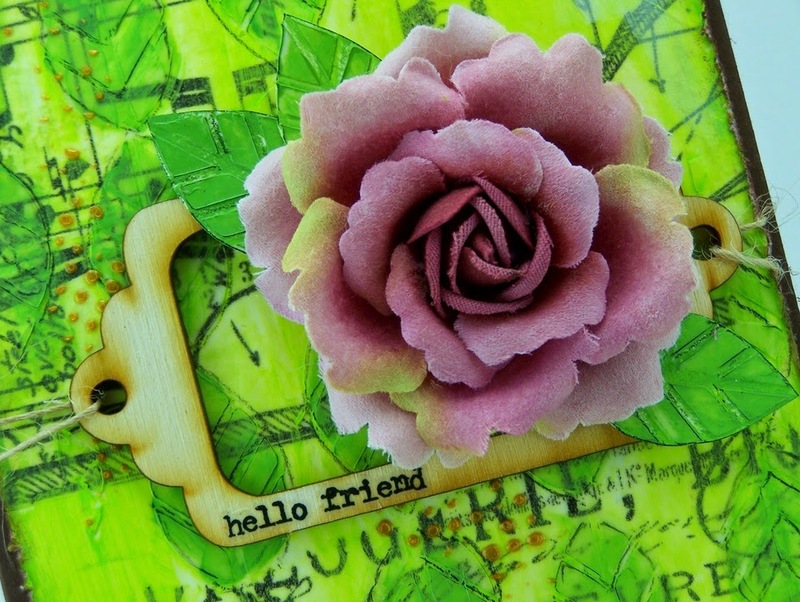 I hope you like my cards and I also hope you come play with us at the ePlay Embossing Challenge! What a fabulous design! 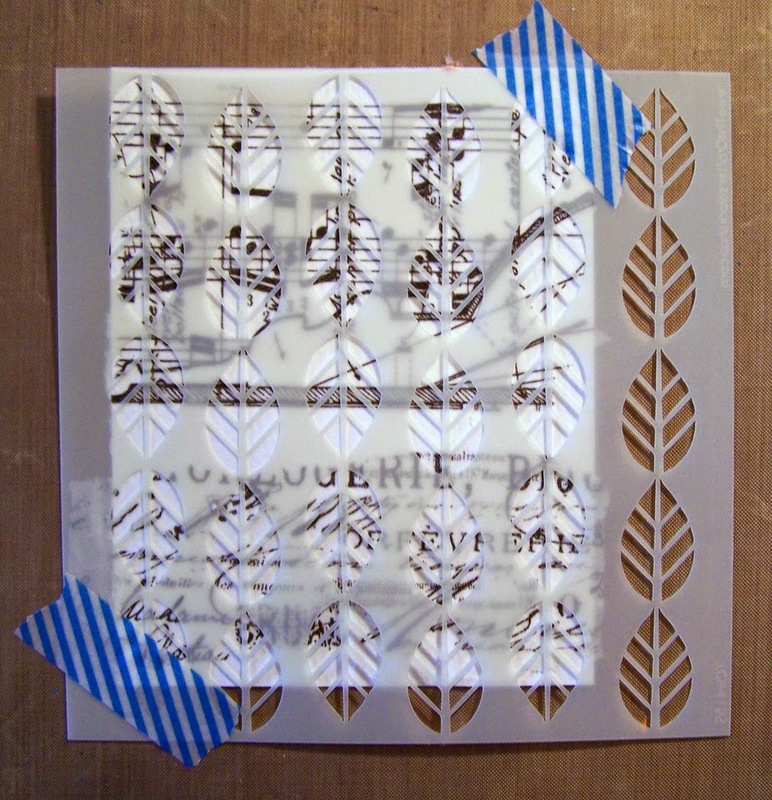 The embossing paste leaves that you cut out are a fabulous idea adding lovely dimension and depth. I have to agree with Toni. The pink and green is beautiful but that face in the flower calls to me, too. Great step by step explanation, Sue. The green is so pretty! Great tutorial! This is so lovely Sue! 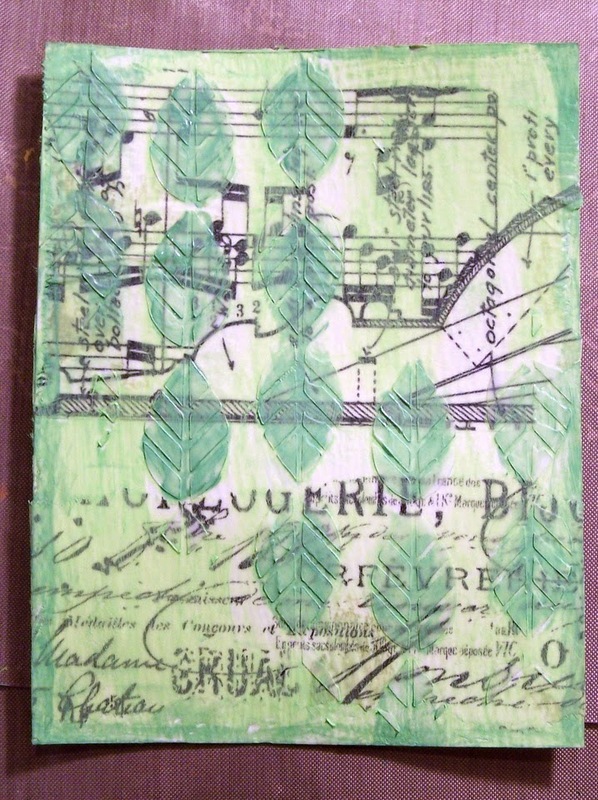 what great greens and a beautiful bloom - wonderful stenciled leaves on your background! 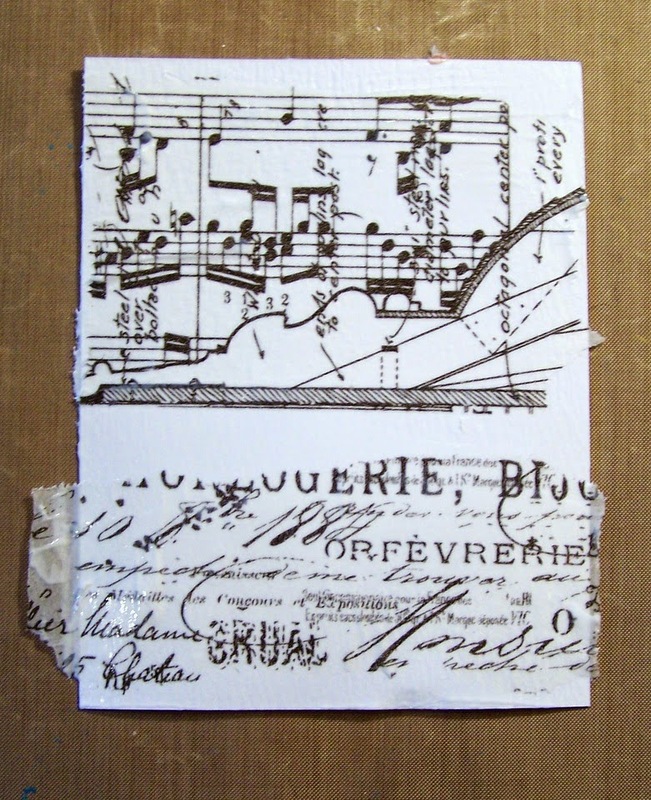 Stunning cards Sue and I love seeing your process! I love the first one best, it seems peaceful to me. Love the pretty face in the center of the flower too! I'm a fan of the white flower with the lovely face center. Seems brighter to me. The green is lovely!